British musician Marc Corbett-Weaver works as a pianist and artistic director. He performs as a solo recitalist and concerto soloist in London, the UK and internationally and is the Artistic Director of The Story of Christmas and London Firebird Orchestra. Marc was born in York. He was educated at Inglebrook School and Queen Elizabeth Grammar School and was also a chorister at Wakefield Cathedral. Marc then studied at the Royal College of Music in London. 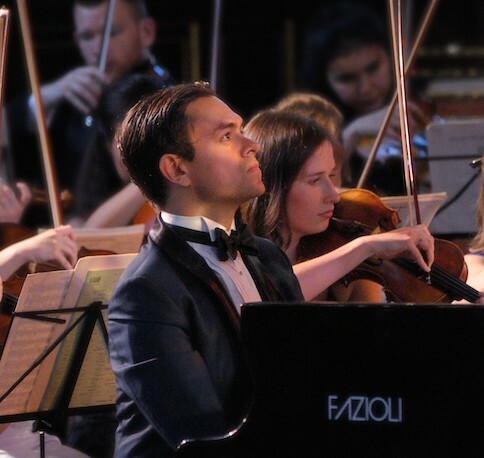 Since graduating, Marc has performed extensively across the UK and in the Channel Islands, Austria, Greece and Italy – including performing both Tchaikovsky’s Piano Concerto no. 1 and Rachmaninoff’s Piano Concerto no. 2 at London’s Cadogan Hall. Marc’s entrepreneurial spirit has led him to found and direct two orchestra’s, the Orpheus Sinfonia and London Firebird Orchestra, and to successfully relaunch the annual London concert ‘The Story of Christmas’ following the death of its founder. Marc now combines his performing and teaching commitments with his roles as Artistic Director of both London Firebird Orchestra and The Story of Christmas. After experimenting persistently with a toy xylophone, Marc received his first piano lessons at the age of five from Angela Ross. Marc studied at the Royal College of Music with Gordon Fergus-Thompson, graduating in 2007. After graduation, he continued his studies with Gordon privately for three further years. He has performed in masterclasses with Nelly Akopian-Tamarina, Andrew Ball, Nigel Clayton, Alexis Ffrench, William Fong, Ronan O’Hora, Vanessa Latarche, Martin Roscoe and Yonty Solomon. As a solo recitalist, Marc has performed across the United Kingdom and Channel Islands and in Italy, Austria and Greece. Marc also performs frequently as a concerto soloist – having regularly performed Mozart’s Piano Concertos nos. 21 and 23, Grieg Piano Concerto, Tchaikovsky Piano Concerto no. 1, Rachmaninoff Piano Concerto no. 2, Shostakovich Piano Concerto no. 2 and Gershwin’s Rhapsody in Blue. 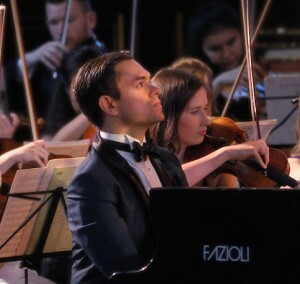 He has performed twice as a concerto soloist at London’s Cadogan Hall (with both Tchaik 1 and Rach 2); at local venues across the UK; frequently at St George’s Hanover Square, St Paul’s Covent Garden and the Royal Pump Room in Bath and on tour in Austria with Kammerphilharmonie Graz. Among others, Marc has collaborated with the conductors Edward Farmer, Andrew Gourlay, Andrew Griffiths, Achim Holub and Toby Purser. Marc teaches privately in central London. He also gives public masterclasses and has served as a competition jury panellist and festival adjudicator. Marc was the founding Artistic Director of the Orpheus Foundation and its orchestra the Orpheus Sinfonia, a position he held from the organisation’s start-up in September 2005 until August 2011. During the first four years, Marc worked in partnership with the late Robert Spooner, Chairman of The Story of Christmas, who helped organise and fund the concerts and introduced Dame Judi Dench as Patron and Aled Jones as President of the Friends. During his six year period as Artistic Director, Marc presented over 140 concerts – series of chamber music recitals, programmes of orchestral concerts, an annual summer performance at Radley Farm in Berkshire, and in August 2011, an international tour for the orchestra. Orpheus’s annual programme featured 20-30 concerts, involving a few hundred performers each year – including many rising stars of the musical world’s younger generation. The aim of these performances was to provide opportunities for graduates of the London conservatoires, showcasing them and providing vital experience as they tackle the challenges of early professional life. Successful fundraising and marketing enabled the concerts to be financed, through ticket sales, grants from trusts and foundations, corporate sponsorship and donations from individuals to the Friends and Chair Endowment Schemes. After six years as Artistic Director, Marc stood down in August 2011 to focus on his other artistic activities including The Story of Christmas. Founded in 1978, The Story of Christmas is the property and construction industries’ annual charity carol concert. It raises funds – in recent years around £650,000 – to finance capital projects benefitting either the homeless or disadvantaged children in the London area. SoC takes place each year at St George’s Hanover Square in Mayfair, followed by a reception and charity auction at The Dorchester, Park Lane. It features a spectacular programme of musicians and celebrated actors and television personalities. After performing at the event in 2004, Marc joined the production team to help organise the concert in subsequent years, before being appointed Artistic Director in 2009 and Chief Executive as well in 2012. London Firebird Orchestra comprises recent graduates and postgraduates of the London conservatoires, providing opportunities at the crucial early stages of professional life. Founded in 2012 with Marc Corbett-Weaver as Artistic Director, the orchestra performs regularly at St Paul’s Covent Garden, Kings Place and St James’s Paddington through its annual season of concerts in central London. Firebird has also performed at the Southbank Centre three times (twice at the Royal Festival Hall and once at the Queen Elizabeth Hall) and presented concerts at St George’s Hanover Square and the Royal Pump Room in Bath. Performances have received enthusiastic coverage in The Times, The Evening Standard, Classical Music Magazine, Classical Source and Seen & Heard International, as well as on BBC Radio London. The orchestra has collaborated with the solo artists Mathieu van Bellen, Thomas Gould, Aleksei Kiseliov, James Meldrum, Jennifer Pike, Leonard Schreiber and Raphael Wallfisch. Each year it works with a small team of prize-winning young conductors who conducts the performances. From 2008 until 2011 Marc was Artistic Director of Ackworth Concert Society, which is based close to his family home in the heart of the Yorkshire countryside. Marc is an occasional reviewer for edinburghguide.com, reviewing classical music and opera for the annual Edinburgh International Festival.